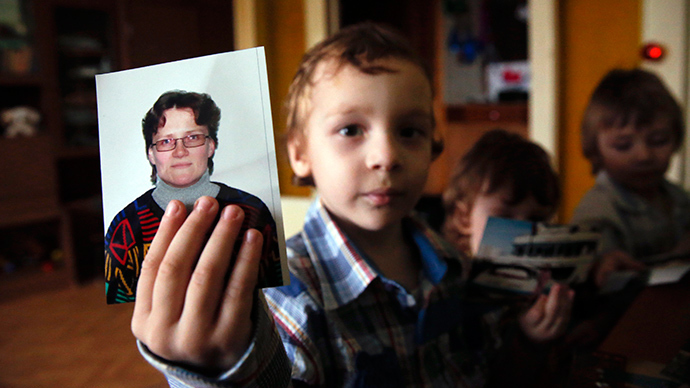 Svetlana Davydova from western Russia has been detained on charges of high treason. A criminal case has been launched against the woman, who allegedly informed the Ukrainian embassy of the possibility of Russian troops being sent to Ukraine. According to Davydova's husband, Anatoly Gorlov, who lives with her in an apartment block in the town of Vyazma in Smolensk region, she noticed in April 2014 that a military unit of Russia's Chief Intelligence Directorate, located near their house, had become quiet and presumably empty. She also allegedly overheard a phone conversation on public transport, with an unidentified man telling someone that he – together with other servicemen – were “being transferred in small groups to Moscow, strictly in plain clothes, and then are sent on a work trip somewhere further," Gorlov told Kommersant newspaper. Having presumed the man was from the military unit and that, together with other servicemen, he was being sent to Donetsk, Svetlana decided to share her assumptions with the Ukrainian embassy, her husband explained, adding that he didn't initially know she had made such a call. According to Gorlov, officers from Russia's Federal Security Service (FSB) detained the woman in her apartment on January 21. She was then transferred to Moscow and is being held at Lefortovo pre-trial detention center. Charges of high treason in Ukraine's favor were brought against her, the court confirmed to Interfax news agency. If found guilty, she will face up to 20 years in prison. The case has been widely discussed on Russian social media, with many blaming the authorities for detaining a mother of seven. Davydova has three natural children. The other four children are from her husband and Svetlana's' sister, who was previously married to the same man. They live all together, a source within the social department of Smolensk told Interfax. According to Davydova's lawyer, Andrey Stebenyov, the court has ruled for the woman to be detained for two months. An expert examination of the case of alleged treason will be carried out. The lawyer also said that the charges are not completely unfounded, as many believe. "It's not like the case has been launched for no reason at all. Some people call me and say: 'It's a total lawlessness.' It's not. There is information [on the case], there are facts, there are grounds," Stebenyov said in an interview with Govorit Moskva radio. The Ukrainian embassy has not commented on the case. Several Russian deputies have sent official letters to Russia's general prosecutor and the FSB director, asking to check into the case. Russia's Human Rights Council has also sent a request to the General Prosecutor's Office to look into the matter.